This entry was posted in Endurance Sports, HRR Food for thought, Running and tagged Carbohydrate, Endurance exercise, Protein, Training on April 29, 2013 by Mary. Veggie shepherd’s pie – a great winter warmer! Serves 10, prep 30mins, cook 1hr 45mins. Heat the butter / oil in a pan over a medium heat. Add the onions, carrots, celery and garlic, and gently fry for 15mins until the onions are soft and golden. Turn up the heat, add the mushrooms, then cook for a further 4mins. Pour over the wine (if using) and stock – don’t season with salt at this stage. Simmer for 40-50mins until the lentils are very soft. Season to taste, remove from the heat and stir in the tomato puree. Heat oven to 109C /170C fan / gas 5. While the lentils are cooking, make the topping: Tip the potatoes into a pan of water and boil for approx. 15mins until tender. Drain well, mash with the butter and milk, then season. 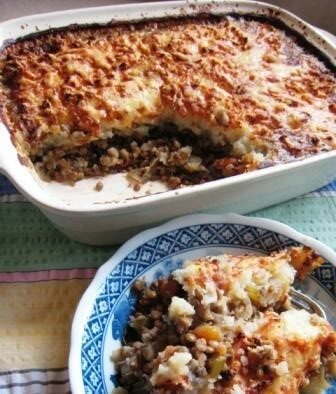 To assemble the shepherd’s pie, put the lentil mixture in a large ovenproof dish and top with the mash. Scatter over the cheese and bake for 30mins until the topping is golden. As a quicker alternative, use 3 tins of rinsed and drained green lentils – simmer them for just 10 mins after adding the stock. Low calorie (450 kcal per serving); suitable for coeliacs; rich in iron, folate and fibre; suitable for freezing. This entry was posted in Recipe and tagged Fibre, Folate, Gluten free, Iron, Low calorie, Vegetables on April 4, 2013 by Mary.